That didn’t take long did it? I of course am speaking of the second overnight and global meltdown of the credit markets …in the last four business days! Before getting into this topic which I believe will soon be seen in retrospect and by historians far into the future as “THE” trigger event. The second piece I sent out yesterday “I bet you didn’t even notice it” was written over the weekend, I planned to send it out for Tuesday’s reading. After sending it to Jim Sinclair to see what he thought, he strongly urged me to get that piece out for Monday. Had I not followed his advice, yesterday’s piece would have been a day late, and old news by the time it went public. So, I am eating a bit of humble pie here, the first fruit has already fallen from the seed of our partnership! …But wait, just as last Thursday, credit again reversed so, …no harm no foul? Sovereign notes and bonds are (were) the opposite. They are THE bedrock of the entire financial system. They are “supposed to be safe”. They are supposed to be for widows and orphans. Sovereign credits are THE core to nearly all retirement funds on the planet. If everything else fails, it is this sector, government bonds, which should stand tall and stave off the failure of retirement plans. The action over the last week is anything but bedrock or “stable”, in fact, it is volatility in the bond markets that are endangering everything financial; suffice it to say “a foundation of BAD credit is not foundation at all”! I would ask if he has even heard of a little country named Greece? Is it even possible that Eurobonds are being sold because fear of a Greek default? Is the fear of a default cascade the reason bonds are being dumped in wholesale batches? I have heard the explanation that “net issuance” has again gone positive as the reason for these air pockets. Maybe this is true, I do not think so but if it is then there is a very real problem! If this is true, it means the market cannot absorb the issuance and yields are going higher not by design but because there are simply not enough buyers, an “uh oh moment” so to speak. As I did yesterday, I will repeat “why” all of this is important. “Credit” is what our entire system is based upon. It has become the basis for all paper wealth and the lubricant for all real economic activity. Should credit collapse (it will), everything we have come to believe in (been fooled by) will change. Credit has come to be viewed as “wealth”, it is considered an “asset”… with just one problem, it is neither! Credit is only an asset and can be considered wealth as long as the borrower “can pay”. And herein lies the rub, Greece cannot pay which means the holders of Greek debt (along with issuers of CDS) cannot pay and so on. It is not just Greece of course, it is the entire Western world, it just happens that Greece is first because they lied the most with the help of Goldman Sachs and other “benefactors”. If counterparty risk did not matter, there would be no problem. The reality is this, the whole show from single dollar bills to trillions in derivatives will be engulfed in this “counterparty risk”! It’s curious that no one else in the blogosphere is currently pointing in the direction that you are. What gives? I have no idea why no one else is on top of this, all I know is the credit markets are clearly convulsing and a danger of being the trigger to the collapse of everything paper. 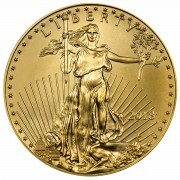 Franklin Sanders ( http://silver-and-gold-prices.goldprice.org/ ) is also talking about treasury yields. 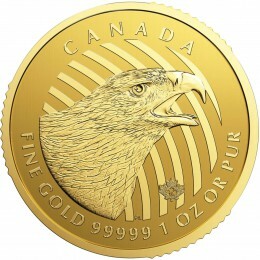 Sanders offers a spot price alternative to Kitco ( http://goldprice.org/gold-prices/ ). At first blush some of Sander’s charts may *look* a lot like Kitco’s. But closer inspection reveals that they ain’t Kitco’s. And that’s all that matters to truth seekers such as me. It sounds like the start of “a really big shew” in the financial big top. Did the fat lady just sing her first note? she’s definitely clearing her throat! Bill: first: thanks for all the illuminating posts since you’ve been at MF. Second, congrats on your new association with Jim Sinclair. Can you tell us the status of Jim’s Singapore venture that, along with the SGE, was supposed to rival Comex and the LBMA? thanks Andy, I do not know the answer to this but will be speaking with him shortly and will ask. I do know the greatest margin call in all of history will be issued … and it cannot be met! These words just penned by our friend Bill say it all. It works until it works no more. 2 meaningful events in less than 1 week. The size of this Ponzi appears larger than anything one might be able to imagine. There is a limit and we seem to be on its doorstep. What happens when pension plans all over the world find themselves cash flow negative and holding considerably less credit worthy assets. The thing that troubles me the most about our present state is not the reset. A reset is needed and the world needs to come back to reality. What troubles me is the chaos that will occur when the masses finally clue into the lie and the size of the lies. Greed, arrogance and the willingness to lie in order to achieve a position of power is about to take us down. What ever happened to the principle of Fiduciary duty…..
And you’re leaving us NOW? I’ve been reading your reports since Harvey Organ picked them up. You’re the only one in finance that is communicating anything that makes sense out of all this mess. Will your reports still be available on Harvey’s blog? How do I find your reports with Jim Sinclair? calm down Agnes, only taking a couple of weeks off, I promise you will be advised where my work will be posted. I would never leave you now unless the Good Lord decided by his will to take me away. I will hold your hands until I cannot! Are you predicting a Monday in May 2015 in which I wake up, and my Bank account is inaccessible? The impression you and probably Jim Sinclair imply is that the collapse is very near. any day going forward, not just Mondays can see this. My point is that credit all over the world is convulsing, and everything rests on credit. Bill- In answer to Andrew in post#1 above, It appears that “The king has no clothes”, and you are the “little boy” with the courage to point it out! I suppose the “King” will be put out when he hears about it! We’d better be ready to duck…. Thanks Bill for the huge heads up. how bad will it get? Could be as bad as that movie they filmed downunder? Hope not, but a real possibility. I am feeling very serene right now. Everything you have been saying, Bill, about the bond markets and how you believe the dominoes will fall gels with how I perceive things will happen. I have never written the following publicly before, but here it goes if you’ll permit me. I have known since December of 2012 that it is the bond markets which will be first to break, taking down everything else with them when they collapse to utter worthlessness. Anything purely paper or debt based will not survive, not even The Federal Reserve will survive, as it is now, through this carnage. 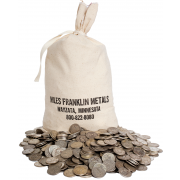 Only physical gold and silver will survive unharmed, but silver is the key to it all. I had a dream in December of 2012 in which I saw a silver chart right before my eyes. What I saw on that chart was exactly what happened several months later as silver was pulled down from exactly $30.83 where it was hovering around its 100-day moving average. In my night vision, I saw the formation of how that chart looked months before it happened. The important part revealed to me was this: When silver revisits this same price level, THAT is the exact time in which the bond markets will absolutely collapse and be destroyed. As all markets seized up, Silver was frozen at this nominal spot price level of ~$30/oz. on its chart, before it was revalued at unimaginable levels higher in the aftermath of the irreversible, worst, mass, financial devastation the world has ever witnessed. I had an earlier dream to this where I was standing in a small side room with Mr. Greenspan in the bowels of a very large, but empty Federal Reserve building. He was seated at a desk. On that desk was a small pile of silver that he was leaning over, lurking over it like he was guarding it and even coveting its potential power. He looked up at me and said, “Silver is the key”. At the exact moment he finished that sentence, I saw the price of silver flash at $30/oz., and then, the entire Federal Reserve building collapsed upon itself with him in it. 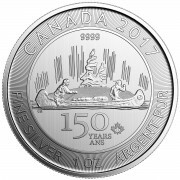 I have had other dreams as well in which it was demonstrated to me that silver will reassume in its rightful role as a monetary metal, but for the sake of brevity, I’ll end here. It was a warning dream, unfortunately, the outcome will be a very real nightmare for those who haven’t saved in real money (gold and silver). Ignorance of what is truly money will soon offer no mercy. Gold and silver are meant to function, as a permanent payment (not a temporary substitute), when two parties are unable or unwilling to pay in kind, or exchange fully in kind, as the Bible clearly illustrates numerable times. In fact, the oldest transaction in history is recorder in Ch.23 of the Book of Genesis, whereby Abraham purchased a large plot of land, with silver, as a place of memorial and in which to bury his wife Sarah. As you’d likely agree, Bill, this is not about greed, as the last several years of owning gold or silver can attest. It is about where, or what, one is going to put their trust/faith in as an honest, proper, demonstrable, storage unit to preserve their labour and acquired wealth (hopefully honorably earned or acquired), as we transition out of the current, fraudulent, monetary/financial paradigm that is breaking down. ps. Referring to your previous article the other day, I was wanting to mention that I really admire your wife’s artistic talent. That painting of you on your horse is incredibly detailed and in perfect proportion, with very vibrant and accurate colors, “picture-perfect!” as the saying goes. She captured a brilliant moment, did she also take the photo? You look very composed and well poised on your horse. What made him rear like that and, as an experienced rider, are you able to feel or anticipate a horse about to do this? I’d been scared sh!tless, as I was rolling off backwards! Principe’ and I are “one”, he anticipates me, and I, him. We spend 3-5 miles a day together and I play with him before and after. He is as smart or smarter than the smartest dog I ever had. I have taught him tricks and he has taught me many. Actions on my part result in “replies” by him even if I am not asking him to do anything, in this manner he is saying “look at this, can we do this too?”. Put simply, he is a “push button horse” with a hunger to learn and please every single day! As for the portrait, my words don’t do it justice when seen in person! I watched the movie “Margin Call” again over the weekend. What you describe taking place the last few days are the same events that set the plot in motion. I am looking forward to your collaboration with Jim Sinclair; I have been following both of you for several years for your in-depth understanding of how markets “really” work. I appreciate the clarity of your writing. Thanks again for all you do. P.S. Here’s the trailer for Margin Call. Thanks Bill. For my education, can you give me a good example of a popular derivative so that I can explain in simple terms to my family and friends what a derivative is? nearly everything paper is a derivative but a good example is a gold contract where the gold does not exist to deliver to a long who demands it. Then, of course, we have THE most common derivative… Federal Reserve Notes. They are the remaining husk of prior year derivatives on gold and silver, as gold and silver certificates, with which they were once interchangeable “on demand”. Derivatives today are basically insurance contracts that are based on the value of something else, such as the price of a commodity or an interest rate. Problem with them is that VAST sums of money have poured into these things with very little understanding of what they really are and how they really work. Funny how when it is time for a derivative to pay off its buyer, all manner of financial gymnastics occur so that the derivative does not have to pay off. This is like selling insurance policies that have so many exceptions that they never pay off when needed. Now, is that a business or what? They take in huge sums and then rig the game such that none is paid out… and none is paid out because these things are highly leveraged and no one can afford to pay them off. the average person cannot possibly grasp that FRN’s are derivatives …of thin air. Speaking of credit, I was just contemplating how Jacked Up this system really is…8 to 10 years ago I had a great credit score, near 800 or so but I was also highly leveraged (playing their game), so I had no ability to pay more and therefore couldn’t take on more debt. In other words my “credit” score was great but my “equity” score was crap. Now I have no debt and therefore a great “equity” score but my “credit” score is crap. Doesn’t this seem backwards? Everything in this system is built around “credit” so you will play the bankers game and take on more debt so they can fleece you. Why focus on “credit” when we should all be focusing on “equity”. For crying out loud, even our currency is an instrument of credit (read debt) and not one of equity, that should tell you all you need to know! Slavery is alive and well in the modern era. Instead of iron chains, we are saddled with financial debt chains, forced to serve our banker masters. I hope the system blows up this afternoon! In the view of some our economic system is governed at this time by a fabrication of lies. Case in point…what percentage of the NA population truly understands what almost happened in 2008. The Western World was on the brink of total collapse and that was avoided by adding trillions upon trillions to debt levels. What we accomplished was nothing other than delaying the outcome. Here we are some 8 years later and we are now with our backs against a wall. We can change the rules. We can create new financial PAPER products but we cannot delay the outcome for ever. There is only one outcome. Bill penned it yesterday. We are about to witness the BIGGEST MARGIN CALL ever. Nobody will be left untouched. There is no other outcome here. Believe what you will but do not be complacent. Complacency is a dangerous thing at this time. I am beginning to not look forward to Mondays. ….Stephen Leeb—–China just cut rates again. Meanwhile, Europe’s rates are zero and our rates here in the U.S. are zero. So what percentage of the world’s economy has zero interest rates? It’s a huge percentage. The other important question is: Whose currency would you rather own under conditions like this? Would you rather own the yuan, the euro or the dollar? I’ll take the yuan. I’ll take God’s currencies, silver and gold. Allen… I agree with Bill on this. None of the fiat currencies represent real value these days. The yuan is still pegged to the US dollar, so isn’t even a sovereign currency, IMO, because China allows the US to set Chinese monetary policy via this peg. China wants to become a much bigger player on the world stage, have influence over the IMF, etc. but for that to happen, they will HAVE to take off the currency training-wheels and de-peg from the US dollar. When they do that, we can expect the yuan to appreciate significantly in value against other currencies, including the US dollar… for a while. China has many economic and financial problems of their own and those problems will be taking a toll on their currency, so the in initial gains from the de-peg will most likely be short term. Toronto police identified a body found in the water near as that of missing Morgan Stanley sales trader Murray Abbott. This is by no means the only trader suddenly being found dead. There is a dark sinister force behind the curtain and far too many people are turning up dead. The volume and liquidity collapse is underway and many people who have been in the industry for decades in banks are leaving before the curtain falls down. The other side of 2015.75 may shock a lot of people. The real crisis is the collapse in liquidity and so many in the field are getting very nervous about what is on the horizon. I have never posted a comment before but I just want to tell you how much I have appreciated your measured and finely worded expose of geopolitical and economic world events. I wish you all the best on your new (ad)venture and I hope we keep hearing from you. Thank you again for all you do! thank you so much, I love first time posts! You will be apprised as to where to follow my work shortly. The DTCC quietly announced on Wednesday February 10 2010, that the Federal Reserve Board had approved the DTCC application to form a subsidiary of the Federal Reserve System, that would now be responsible for “clearing” all OTC derivative contracts. This new entity to be known as the Warehouse Trust Company (WTC) and would fall under the auspices the Federal Reserve Bank. Meaning, it would qualify for financial “protection” (tax payer funds) in any future derivative default. This proves that TPTB’s knew over 5 years ago that a day would come, when kicking the can would not work any longer and that their phoney Ponzi scheme would implode. So laying the groundwork to distance themselves from any and all liability, while pocketing the profits. Same old. Socialize the debt and privatize the profit. yes, I had forgotten this amongst all the other noise! I see no need to be concerned about the Warehouse Trust Company. You state they would qualify for financial “protection” (tax payer funds) in any future derivative default? Why do they need financial protection? They have no derivatives and hardly any liabilities. Just some assets. And we are only talking a about 10 million dollars. All they are is a post trade processing service. Looks like the “can” has been kicked for one more day! it’s not just the 10 yr Treasury, keep your eye on the European sovereigns. Bill, what of student loan debt? Will it vaporize? Should I even keep paying it? Been doing so since 2006. Was planning on throwing a big chuck of change at it to get it over with. But it’s so hard not to apply some of the funds to my stack & preps. stack and preps are better in my opinion. This silly idea comes to us from the same people who expound on inflation being a good thing and deflation being a bad thing. From the consumer’s point of view, this is backwards because inflation is merely the rate at which a fiat currency loses its buying power over time and deflation is the opposite of that. Which is better for us mere mortals? Having more or less buying power? I vote for more! Wow… those handful of firms sound like the place to invest! I have asked myself this question many times and the only answer that presents itself is “it’s a knee-jerk reaction”. Bonds used to be a viable asset class for investors and most of us had a portion of our wealth in these steady but slow performers. This is no longer the case because the risk to reward ratio is massively skewed these days such that owning debt is much riskier than the pay-out justifies. Why own a 10-yr UST bond paying 2.3% when I can own a blue chip stock that pays double that in dividends AND has some potential for price accumulation? My answer is that there is no reason to do so, which is why I have no position in bonds. AGREED! Yet this is exactly what the Keynesians think… that credit is the same as money. For the record, credit and debt are not money. Money is payment in full and on time for goods and services, while credit and debt are merely the promise to pay for goods and services at some point in the future. This is a HUGE difference and is why the various national and world economies are so messed up now. Currency is not money either, these days, but that’s a whole new can-o-worms. Au contraire mon frere. There is a HUGE source of money that is readily available with which to bail out the US Gov other than the CBs and that is the money in various types of retirement plans. IRAs, 401Ks, 403Bs, 457s, etc. hold a combined $25T or so. Now, that is REAL money in quantities vast enough to bail out a bankrupt government and don’t for one second think that this huge honey-pot has gone unnoticed. When, not if, the time comes that the US Gov needs to be bailed out, there WILL be a grab made for this money… “to protect the retirement savings of all Americans by converting these RISKY assets into safe and sound US Gov bonds”, of course. That will be a complete LIE of epic proportions but it can and will happen… with a generous slice paid to the banks, Wall Street, thousands of lawyers, various politicians, and other low life cretins for facilitating this massive theft of private wealth. of course Ed, but, doesn’t that 401K etc. money get “withdrawn” from some other investment? “Something” gets killed and unfortunately NOTHING can go down or it ALL goes down. Bill let’s assume someone buys a new car totally on credit the day before the big meltdown. He has the car and they have the paper. yes gig, “come and get it!”. Yep, my point is for a while, keep your head down, live like the rest of the broke lemmings. close gig, its “da nada”, as in “it’s nothing”. In Costa Rica they say “Con mucho gusto”, meaning “with much pleasure” (thank you). In Mexico, “it’s nothing” and you are trying to say I don’t got nothin’! …Tenemos nada, somos pobrecitos! if you say so. Border Spanish? Why is it not possible for the Fed and other central banks to keep printing up new debt indefinitely to paper over the losses/defaults? The Japanese, for example, have been keeping interest rates at absurdly low levels for what 2+ decades. What makes a period in time the endgame where the credit system reaches its apex and goes into reverse? the Japanese had the help of other Western nations not already bankrupt …there are very few of those today. Good piece bill. scary stuff …. Thanks for the unique and certainly new angle on potential problems for global markets. Based on the economic evidence, there can can be little doubt that a reset will happen but the question should be not if but when–timing is everything. So here is my question: the feds, IMF and central banks have kept the world economy afloat since 08 by QE –printing trillions of fiat currency and it has seemed to work, at least on the surface, fairly well. So why not postpone the inevitable: continue to print more money, manipulate precious metal prices downwards, use the media to convince the masses the more they spend the faster the economy grows, forgive the 1.5 trillion of student loan debt and the billions Greece owes? The powers to be should be able to prolong a quasi healthy economy to maybe 2025 if not longer don’t you think? In the mean time play the markets, invest in rentals and farm land and put 20% of portfolio in precious metals while prices are still relatively low? Look forward to your thoughts from down here on the farm in rural Oregon. Is it possible that the powers that be know all this and that the upcoming Jade Helm exercise is not a “practice run”? I am 28 and i am very concerned for my future. I am twice your age …so am I!